Kresiah Mukwazhi was born in Harare, Zimbabwe. 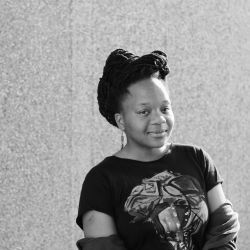 Educated at both the National Gallery of Zimbabwe Visual Art School (known today as the National Gallery School of Visual Art and Design) and the Market Photo Workshop in South Africa, Mukwazhi’s artistic practice draws on personal experiences and observations of gender-based violence, exploitation and abuse. 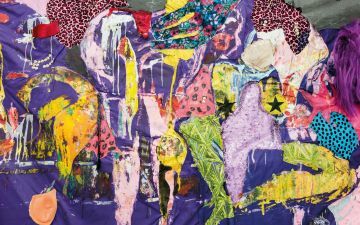 Inspired by the global #metoo movement, Mukwazhi uses her art to shed light on the common—and yet less publicised—occurrences of sexual assault in her home country and the rest of Southern Africa. 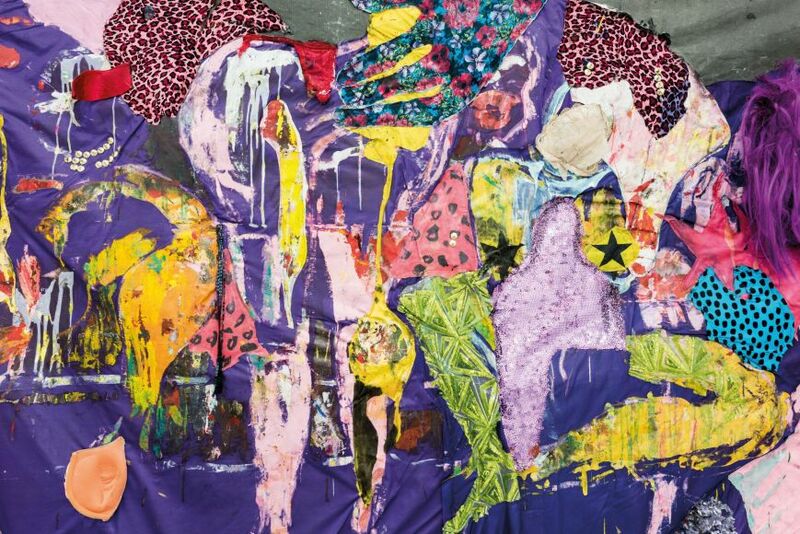 In the painting Mambokadzi II (2018)—which means ‘Queen’—an abstracted, biomorphic form is suspended from the ceiling. 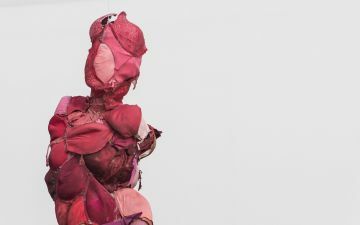 Wrapped in women’s undergarments, the artist makes use of the material’s associative power to reference feelings of objectification, entrapment, and disembodiment. Here, the metaphor of an insect caught in a spider’s web comes to mind. Simultaneously, one might imagine the form to be in the process of becoming, like a butterfly from a cocoon. Either way, the transformation of these materials into symbols of resistance and struggle are characteristic of Mukwazhi’s activist approach to art. Recent exhibitions include Bedroom Interview at SMAC Gallery in Cape Town (South Africa: 2018); In My Private Moments at the National Gallery of Zimbabwe in Bulawayo (Zimbabwe: 2016); and Beyond the Body at Tsoko Gallery (Zimbabwe: 2016). Kresiah Mukwazhi’s works are featured in the Zeitz MOCAA exhibition, Five Bhobh – Painting at the End of an Era (2018 – 2019).